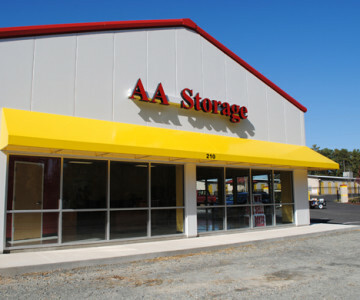 The AA Self Storage facility in Butner, NC is conveniently located near both Kerr and Falls Lake, as well as Durham. If you’re looking for boat storage near Falls Lake, contact us today to learn about our boat storage options. The facility offers five sizes of storage units to choose from and will soon have climate-controlled units available for rent. The Butner AA Self Storage location also has packing and moving supplies available for purchase. Click here to get directions to our Butner location.